As a Business and Performance Coach, a great number of my clients and partnerships are entrepreneurs, small business owners, start-ups, independent sales people and people who are 1099 (responsible for their own retirement plans, investments and residual income opportunities. So often in this environment we focus on the grind, the work, the momentum and forget about the need for strategic financial planning. We do what we have to do so that we can do what we want to do…but if there’s NO money….there’s no doing! 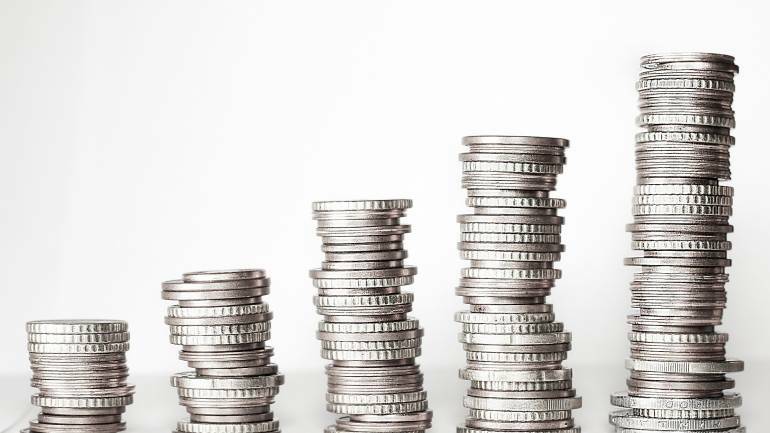 If you are like most, you know the importance of financial security, preparing finances for second stage of life and healthy financial growth. And, if you are like most , this conversation can create a bit of anxiety and confusion if not directed correctly. I want to invite you into an easy conversation about intentional decisions that make way for a new understanding. I am thrilled to introduce you to Joe Militello! Joe is the founder and president of Infinite Wealth Advisory Group and author of the book titled “Know Your Financial Freedom”. 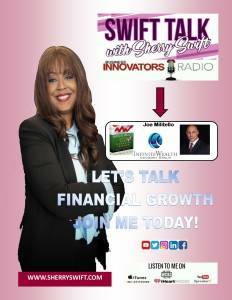 Joe was my guest on the topic of Financial Growth. During our talk Joe shares how to Identify your life stage and defines the difference between the accumulation stage, the distribution stage and the preservation stage. During our time together we discuss the necessity for a balanced portfolio, proper planning and how painless this should be. Thrilled to share such an important conversation on a topic that impacts us all! Joe’s firm provides retirement solutions for individuals and families and the commercial division of his firm assists business owners with cost reduction and tax mitigation and succession planning. If you are at all interested in your financial well being, you need to listen to this interview! Enjoy and you’re welcome! Happy and humbled to be a resource. Please share and comment where you listen!